During iFixit’s teardown of Apple’s new Mac Mini it was discovered that within the 2011 Mac Mini there was just enough space for owners to fit an additional hard drive. After mentioning the available space within their teardown instructions, iFixit received a huge amount of interest asking for instructions on how to add the extra hard drive. Well if you were one of those enquirers or are thinking about adding an additional hard drive to your new Mac Mini. 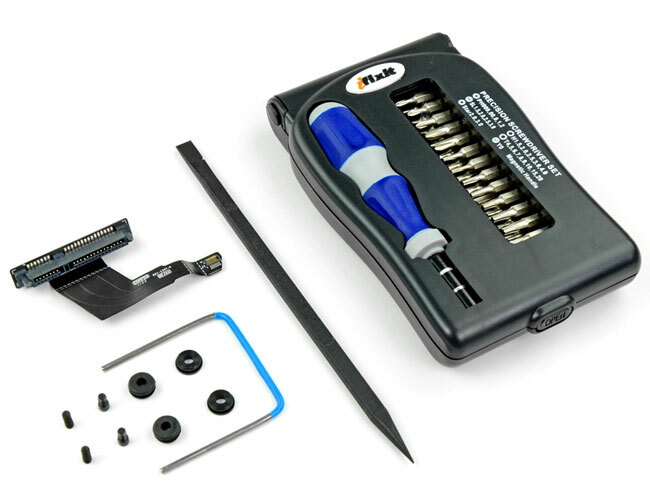 iFixit has this week launched a new Mac Mini Dual hard drive installation kit. To help make the process as painless as possible for you. After some ingenious development iFixit have now created the kit that will allow you to connect ether a solid state drive or Seagate’s Hybrid 500GB SATA drive which also includes a small 4GB SSD on it for performance or even an additional 750GB Seagate for extra storage.